Social media is an extremely powerful tool for all kinds of businesses. Millions of people use various social media platforms each day, but Instagram is one of the most popular for businesses. When it comes to engagement on Instagram, the numbers speak for themselves; engagement is 10x higher than Facebook, 85x higher than Twitter, and 54x higher than Pinterest. Engagement is key when it comes to strengthening your brand and growing your business. If that doesn’t let you know that Instagram is a place your business needs to be, nothing will! 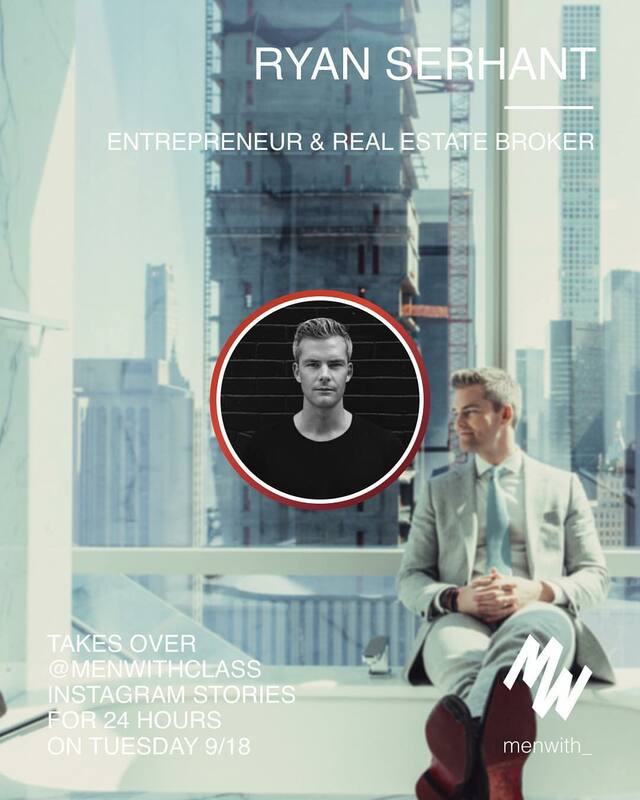 Knowing how to use instagram for real estate is key. By using Instagram for your business, you can reach people far and wide who are looking for your products and services. You can help them by sharing your expertise, developing a relationship with them, staying in the forefront of their minds, and so much more. Social media and real estate should go hand in hand. 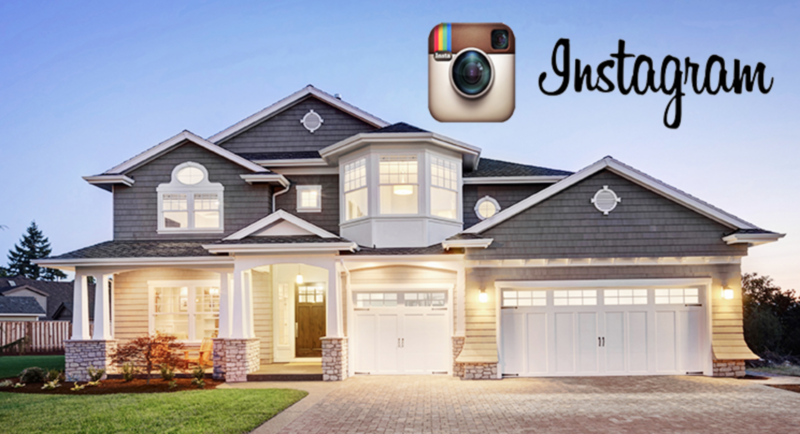 Using Instagram for your real estate business will enable you to strengthen your brand. Instagram is a highly visual platform so it’s perfect for telling your story, who you are, what you do, and why you do it better than your competitors. 90% of information transmitted to the brain is visual, which would explain why Instagram is so popular and social media and real estate work so well together. In order to strengthen your brand, your posts will need to be cohesive and in alignment with the message and image you are trying to get across. When you know how to use instagram for real estate, your brand will only get stronger. You have the ability to generate high quality leads with social media and real estate. You can find local users who are looking to sell or buy, out of town users, connect with past clients and potential clients, and more. Not to mention, this way of generating those leads is completely cost free! 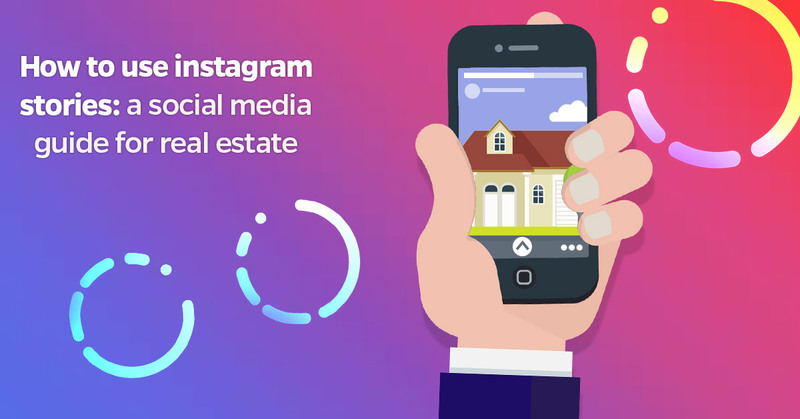 All it takes is a little time and effort to learn how to use instagram for real estate in a way that suits your business. Social proof influences our decision-making process through the basic human desire to belong. Social proof brings people confidence that you are doing a great job, and people will automatically want to work with you too. By utilizing previous customers and happy clients on your instagram page and stories, you can create more social proof that will make people want to work with you too. Your social media and real estate campaign will work wonders if you use social proof to your advantage. If you get your past clients to follow you, it will keep you at the forefront of their minds. They may even refer your services to their friends, so don’t forget to ask clients to follow you. Once you know how to use instagram for real estate, your referrals will be coming in thick and fast. With Instagram you are able to communicate information to a broad audience; you can reach far more people at once than you would in person. You can literally reach thousands of people all over the world at the same time with social media and real estate, rather than just a few people at once in person. With a link to your website in the bio description you can send more people to your website. By switching to an instagram business account, you can include your phone number, email, and address. This creates a super smooth experience that will encourage people who are interested in your service to contact you and learn more. A service incorporating social media and real estate together can create a seamless experience that encourages your audience to get in touch. 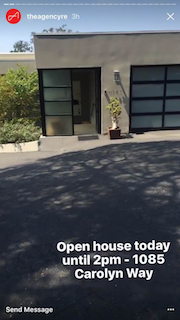 Rather than only doing your house showings in person, you will reach far more potential buyers if you show a house on Instagram live. Some people may even follow just for fun or to be nosy, and end up buying a home from you later on as a result of having you there in their minds from seeing you on their platform all the time. This is why social media and real estate is a force to be reckoned with – by making your virtual house showings detailed and fun, you can attract all kinds of people to them! You can do one of these by making sure you announce the time you plan to go live with an Instagram post, so that people know when to tune in. You should also include a brief description of the property so that you attract the right viewers. Make sure you do a tour of both the interior and exterior of the property, and treat it like it was a real house showing. Answer questions people ask you and ask people to send direct messages if they want to know more. Make people feel like they are there with you, and go out of your way to give detailed, helpful answers. Your social media and real estate campaign will get the best results when you aim to add as much value and information as possible. Remember, people will want to see the neighborhood too, so don’t neglect that. Highlight the benefits to make people want to live there! You can use Instagram to strengthen your business branding by giving your followers a feel for your overall team vibe. Post pictures from your outings, events, dinners, and anything else your team may attend. However, ensure you only post photos that will match up with your brand’s story. If you’re selling homes in a gorgeous area, you could post photos of your team, the properties, and the surrounding areas to encourage people to consider a purchase there. With social media and real estate, it isn’t unusual to find a plethora of gorgeous property photos posted by agents and agencies, so make sure you follow suit. If it doesn’t match up with your business branding, you might want to avoid posting pictures of staff parties where everybody got a little too drunk. However, this may also work to the advantage of some people, as your audience may like a team they feel they can relate to. Overall it’s your decision on how you would like to portray your brand! You want your clients to trust your judgement and expertise as a real estate agent. Well, instagram is a fantastic way to build their confidence by giving people a glimpse of your personality and the sort of information you can offer them. Post photos of your life as it’s happening, again providing that they are cohesive with the branding you are trying to achieve. This is your judgement and all about how you want to build your brand, so post yourself with friends, during a funny moment, at dinner – whatever you want. Remember that geotagging your location can improve your engagement even more. This is your opportunity to show people why exactly they should want to work with you over your competitors. Why not use instagram stories and instagram live to show people how things are working behind the scenes? You could show them the best way to set up for an open house, discuss challenges of the real estate industry, and even show newcomers receiving a key to their home. All of these things will further help to establish you as an expert, and provide people with social proof that you’re doing a great job. If you have a new listing, use Instagram stories to generate excitement about it. Tell a story using instagram stories, and help followers to picture themselves in the setting. Could they take luxurious bubble baths in the jacuzzi bath with spa style bathroom? Can you help them to picture driving up the luxurious home in a beautiful car, and parking it in the spacious garage? Help people to imagine that this could be their life – because it could be, if they choose to work with you! Social proof helps people to develop trust and confidence in you as a real estate agent. It shows that other people have been happy working with you, and can give people enough confidence to make the decision to work with you. Let your followers know that you’ve closed a deal by posting a story of yourself with new homeowners, for instance, or you can ask clients to give you a testimonial on your next live broadcast. It’s probably not best to put them on the spot, so give them some notice and you should end up with happy, authentic videos that prove you’re the best choice for home buyers/sellers. The great thing about Instagram stories and instagram live is that it gives you the opportunity to show off your personality. Everything else aside, your personality is going to set you apart and bring you people that really want to work with you. Don’t let the camera turn you into somebody else. It’s good to be professional, of course, but if you tend to tell jokes, tell them. If you’re usually very happy and full of energy, let that shine through. People will love to see your personality and it will make them want to work with you, and help you to build relationships even if just online at the beginning. Using social media and real estate together is, without question, one of the smartest things you can do in 2018. Get started! Download this free book and discover 30 easy strategies to boost your Ads overnight, learned managing over 400 milion in media spending.